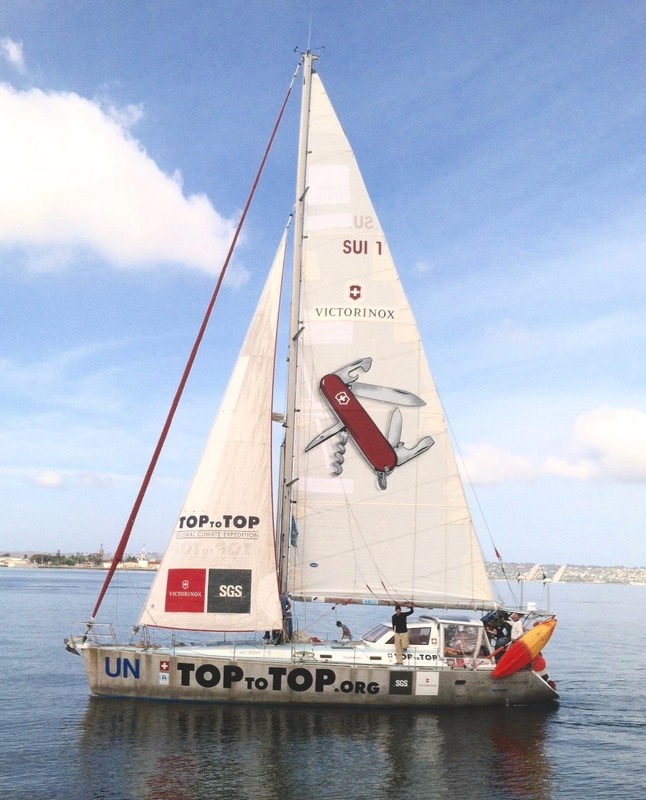 TOPtoTOP has a Climate Witness: read more…. Many members joined the TOPtoTOP reunion on Mount Pizol where we also went hiking for 2 days. Annemarie showed us her new innovation for the TOPtoTOP school visits. 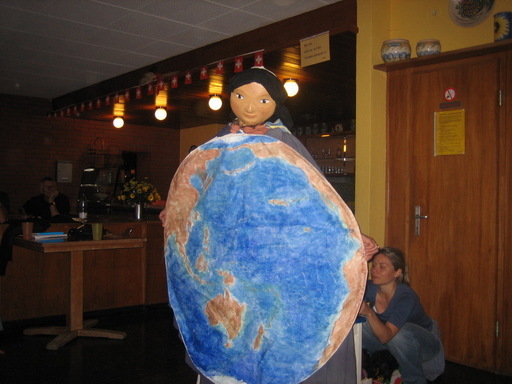 It is a performance to safe Pachamama, “mother earth”. 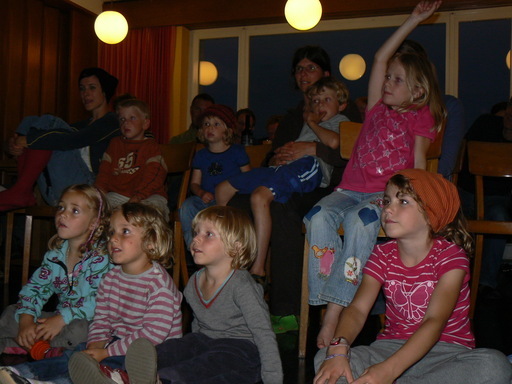 All kids have been very fascinated hearing the story of Pachamama and the challenge with global warming. In between we have been guiding also with kids. The impact of global warming was very visible this summer on the alpine glaciers. 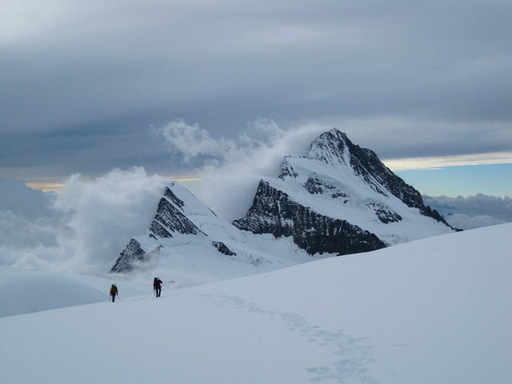 The biggest danger is rock falls from retreating glaciers and melting permafrost. 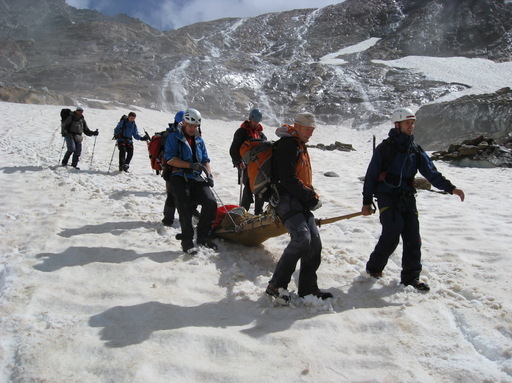 Dario was involved in a rescue of a person who was badly hit by a falling rock. The village of Pontresina has built a huge dam to protect the village from earth sledges and rock falls out of the permafrost zone. 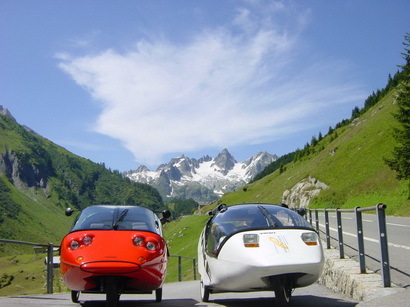 We collected in Switzerland once more good solutions to protect our climate like a solar cooker, which easily gets 150 degrees Celsius or an electrical car for two passengers. With one charge of one US dollar this car drives 150 km! We also have been in Geneva to give a presentation at the head office of our new sponsor SGS and had the opportunity to meet CEO Chris as well as Ken and Paul from UNEP. Together with Thomas we continued to work on the new version of our website, did presentations and with ghost writer Marc Zollinger we started the first edition of the TOPtoTOP book. 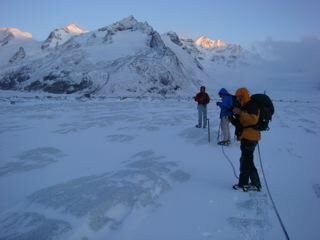 Next we climb with the SGS staff Breithorn, a 4000 m peak near Matterhorn. 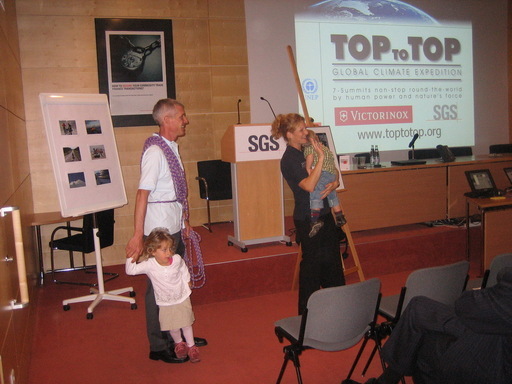 People interested to join this event on the 4./5.10.2008 please contact Agnieszka.Farkas@sgs.com. Soon after we celebrate Dario’s birthday on the 10./11.10.2008 and go back to Sydney to prepare for the Sydney to Hobart Yacht Race, where we promote solar and wind energy. Note: 30. Oktober from 14 to 15 h we are on DRS1 radio.